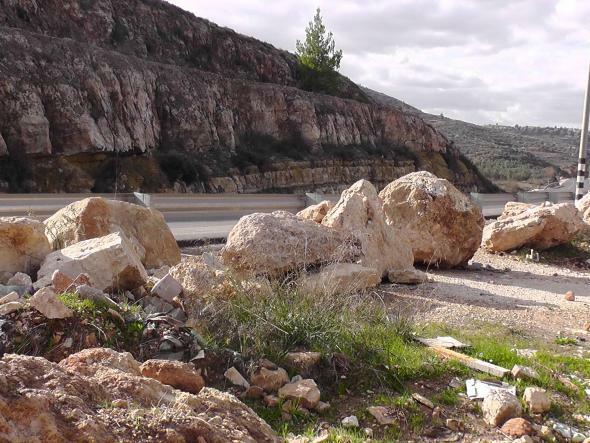 According to the structural plans of the settlements they cover an area of ​​about 485 square kilometers, which constitutes 8.5% of the area of ​​the West (5760 km2). The total area of ​​land controlled by the Israeli military is 49,000 km2, which represents about 1% of the area of ​​the West Bank, and the size of ​​areas which are isolated by the apartheid wall being built by Israel amounts to 733,695 km2, which constitutes 12.9% of the West Bank. 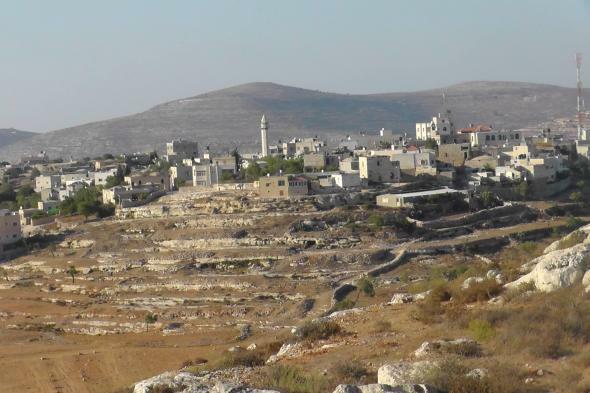 Qaryut is 26 km from the city of Nablus and about the same distance from the city of Ramallah, i.e. half way between the two cities. It has a population of nearly 3,000 people, working mainly in agriculture, the most important crops being peaches, grapes, figs and olives, along with vegetables and pulses. 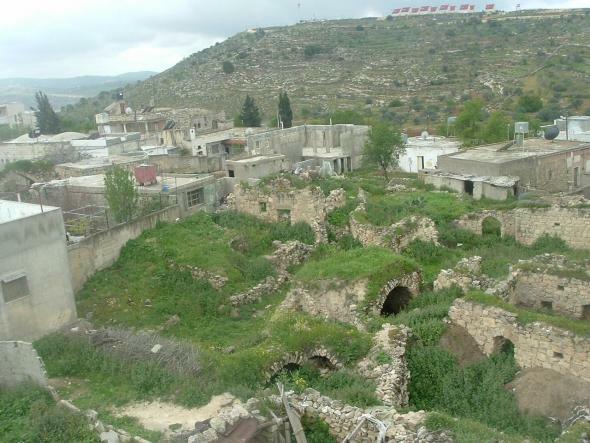 Qaryut is the village’s original name, dating from the Roman era when it was first built, and according to the book History of Palestine the name means “compound of villages”. In 1948 the village had a population of about 920 citizens; by 1995 this number had reached 5022 citizens (1621 residents and 3442 in diaspora outside the city). 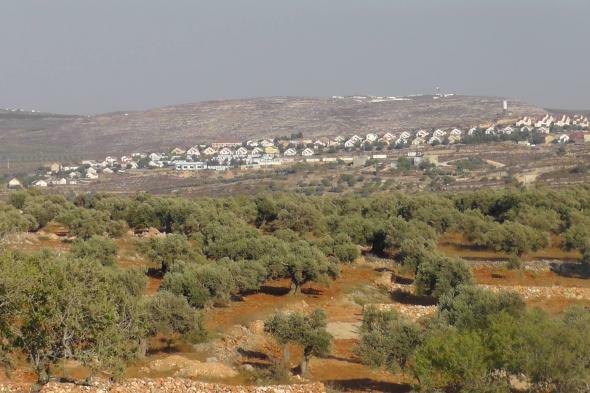 The estimated area of the village is 20,000 dunams (1 dunam = 1000m2); 14,000 of which are located within area "C" according to the Oslo agreement. However the area that villagers can actually build on and expand is only 360 acres. 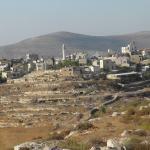 Qaryut is one of the Palestinian villages systematically targeted by the occupation army and settlers. 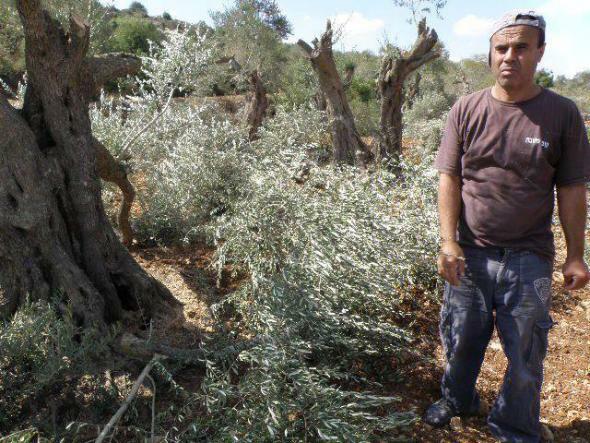 For years thousands of acres of land have been confiscated for the construction and expansion of settlements. 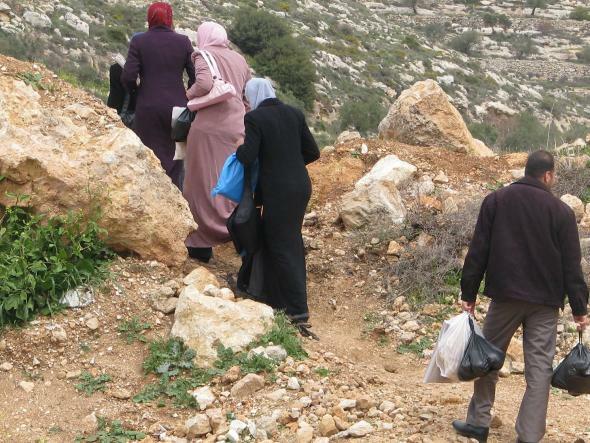 Gaining control of water sources is another extremely important goal for the Israeli government and settlers. 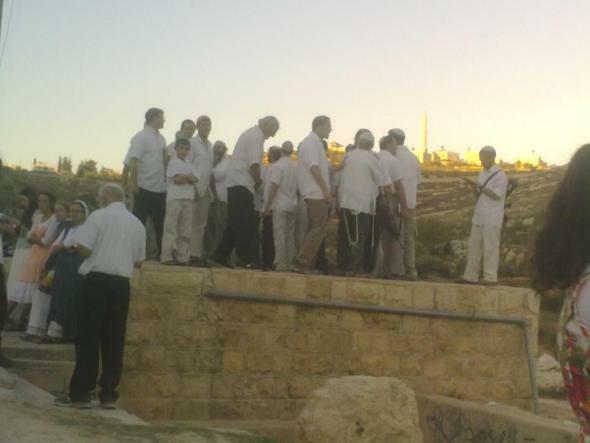 Settlers have taken control of three of the five springs in Qaryut and the remaining two are threatened with confiscation. 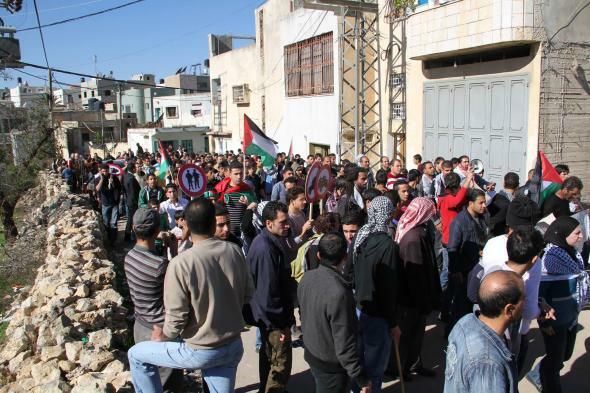 Since the closure of the main road to the village in 2012 the people have organized various events as part of the popular Campaign against the Wall and Settlements. 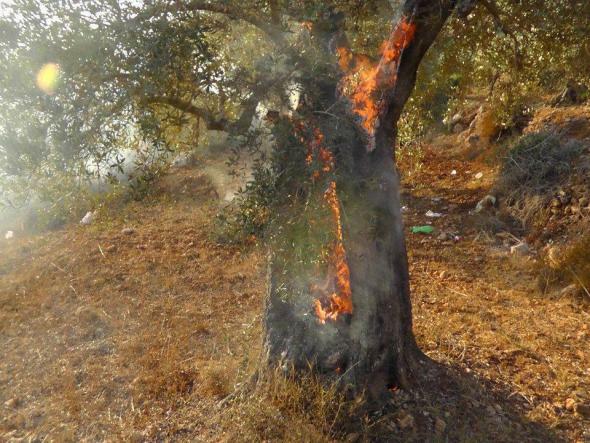 Through weekly demonstrations they have succeeded in reopening and using the road more than 100 times even though the occupation army returns and recloses it each time.